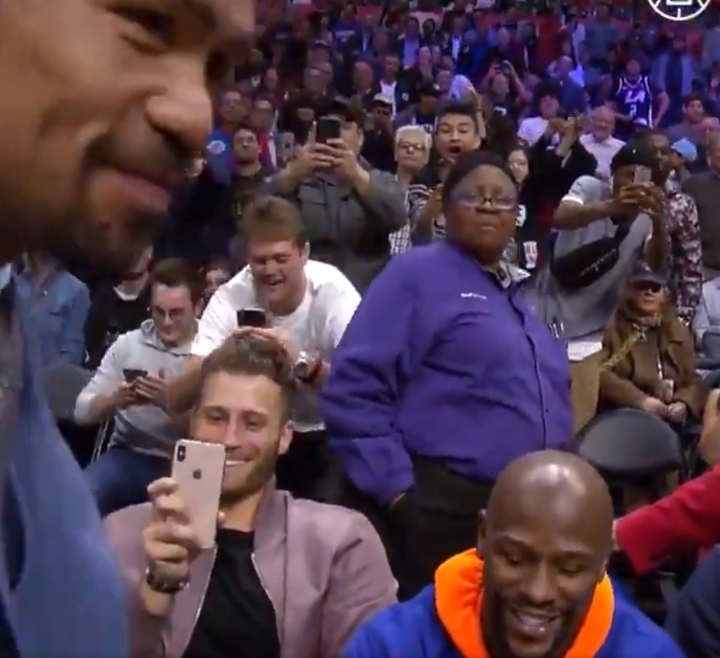 Fans thought they were watching a replay of 2015, when career rivals Manny Pacquiao and Floyd Mayweather came face to face in Los Angeles. Both were present during an NBA game on Tuesday, as they sat courtside at the Staples Center for the Clippers-Charlotte Hornets game. 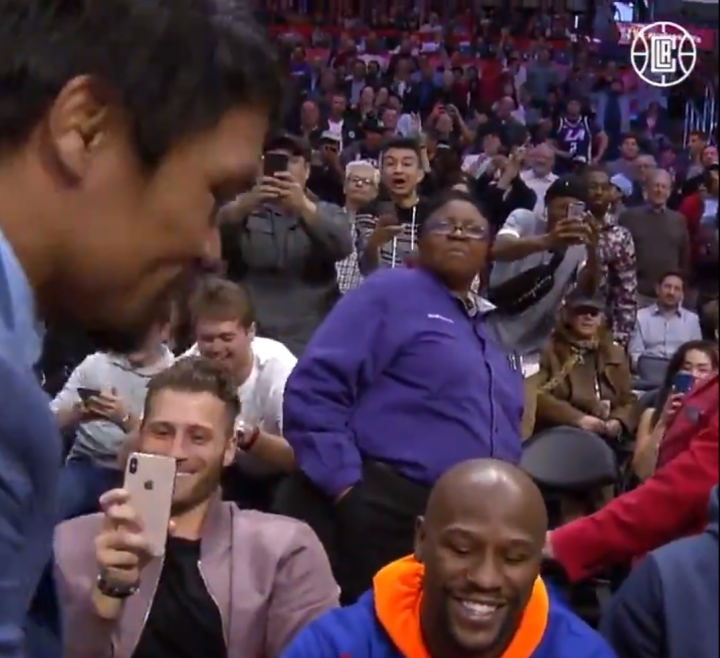 An identical meeting took place in 2015, when Mayweather and Pacquiao came together at Miami Heat game in Florida in early 2015. In the aftermath of that 2015 game, the two boxers came together at a hotel room – a meeting which eventually led to finalizing their mega-bout a few months later. The contest, which saw Mayweather win a twelve round unanimous decision, generated more than half a billion in revenue and set all-time records on pay-per-view. Now there is talk of a potential rematch, if Pacquiao is able to overcome Adrien Broner on January 19th at the MGM Grand in Las Vegas. Pacquiao will be staking his WBA “regular” welterweight title. The bout will be televised on Showtime pay-per-view. When the two fighters saw each other on Tuesday, Pacquiao walked over to Mayweather and two boxers shook hands while greeting each other. ← WWE SmackDown Live results, recap, reactions (Jan. 8, 2019): Who’s Ready?